East German Pride Is Alive And Flourishing On The Streets Of New York City! This is Down On The Street Bonus Edition, where we check out interesting street-parked cars located in places other than the Island That Rust Forgot. 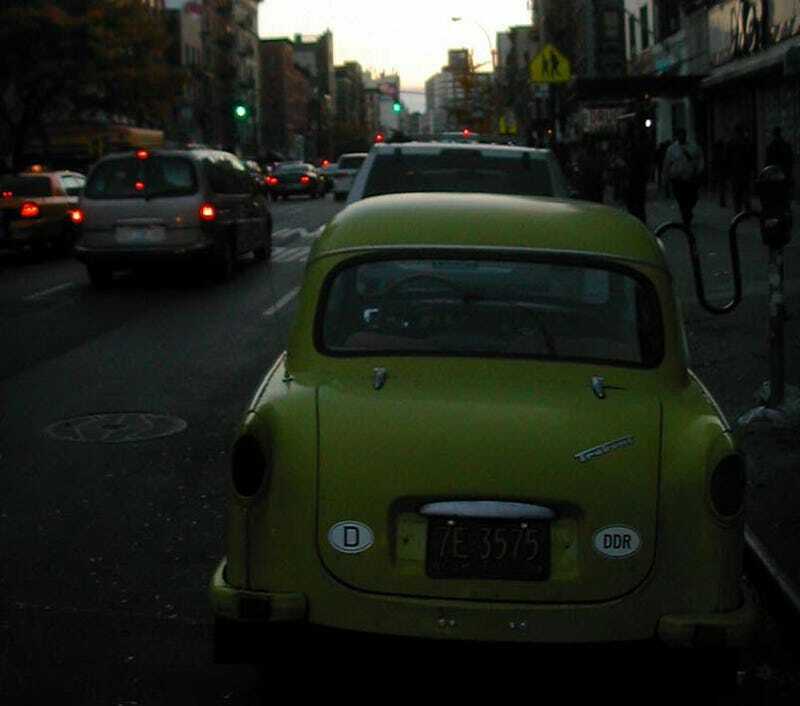 A Trabant down on the NYC street? You bet! I don't know if a Trabant parked in New York City is old news (man I love this site), but I ran into this, the first Trabi I've seen since my stay in East Berlin, and a pea-green, pre-1960 model at that. Parked appropriately in the East Village in front of Moishe's Kosher Bake Shop this two-stroke beauty sat idly by soaking up the praise of the dozens of passersby. If the license plate is anything to go by, this car putted its way to the New York DMV in 1960. To keep a Trabi sputtering along is quite a Jalopnikian mission today, I can hardly image what it would have been like running this symbol of commie-pride in Madison Avenue's heyday. In any case, keep up the good work Miss Murilee, and I look forward to the next I-can't-believe-it car that gets put up in the Down on the Street series!